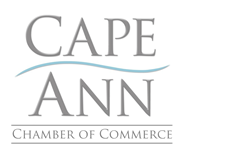 The Cape Ann Chamber of Commerce is excited to announce the new Dine Out Cape Ann. Cape Ann is throwing away the tired restaurant week model and taking a fresh approach aimed at highlighting the unique flavor of each participating restaurant. The two week event will take place October 25th - 29th and November 1st - 5th, 2015, in restaurants throughout Cape Ann. Participating restaurateurs have been asked to create exclusive menu options that embrace their particular venue and highlight what makes them unique – from dishes that feature local seafood to signature cocktails and food pairings. This new spin culminates in a wide array of exceptional dining experiences that make up Dine Out Cape Ann. Next > The First Cigar Night At Cape Ann Brewing Was A Huge Success!